We invite you to spend your next getaway at Pleasant Mountain Inn located in the heart of Maines Lakes Region on the shores of Beaver Pond overlooking Pleasant Mountain. Located just minutes from the charming village of Bridgton where you will find distinct local shopping including antique shops filled with quaint country curios a great book store and an authentic drive in movie theater. 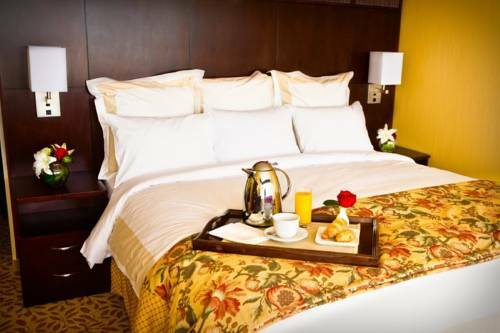 Our immaculate country style rooms feature inroom Green Mountain gourmet coffee cable TV and guest controlled heat and air conditioning. Our lodge rooms are available with fireplaces decks and mountain views. Stroll the lovely herb gardens or watch the beavers build their homes down on the shores of the pond. You will feel yourself unwind as you breathe in the fresh mountain air and sample the wide open spaces that Maine is famous for. Come discover this charming intimate hotel, located along the southern Maine coast. A charming historic seaside community, Kennebunkport offers travelers a classic Maine vacation experience. Visitors can enjoy fishing, sailing, golfing, whale watching, antiquing, or simply relaxing on the beach. The Kennebunkport Inn offers a unique lodging experience with 49 guest rooms located in the Victorian Mansion Riverhouse or Wharfside buildings right in Dock Square the heart of all of the shopping dining and attractions. From the elegant style of the Federal and Mansion rooms to the charming ambiance of the Riverhouse to the beach cottage style of the Wharfside complete with water views, there is room perfect for every taste and need. The Beachmere Inn combines the quiet elegance of a stately manor with the peace and quiet of the seashore. Intimate and stylish, our size allows for personal attention and warm welcomes. Our romantic rooms have kitchenettes, cable TV, fireplaces and magnificent views. Most rooms have private balconies, decks or terraces. The Beachmere fronts on its own little beaches and is connected by the 2 miles footpath, The Marginal Way. All of the sights and sounds of Ogunquit are just a short stroll away. Kick off Spring at Ogunquits Patriots Day celebration. Play golf at a nearby private course or tennis at the towns public courts. Summer nights bring leisurely dining, movies, and warm evening beach walks. Capriccio, a celebration of the performing arts, ushers in Fall the weekend after Labor Day and the beginning of a long foliage season. Christmas By The Sea in December is filled with family events and shopping. Come visit us at the Portland Marriott at Sable Oaks. Our hotel offer contemporary designed guest rooms with new high speed technology. The hotel is nestled on the hill of the scenic, yet modern, Sable Oaks community overlooking 18 holes at the Sable Oaks Country Club. It's also just minutes from the Portland Airport and historic downtown Portland. Enjoy fine-dining and boutique shopping in the Old Port or catch a Portland Sea Dogs game. Our South Portland hotel near Old Orchard Beach provides easy access to the Portland Headlight historic lighthouse, Casco Bay, and Portland's own Museum of Art. Offering dynamic meeting space, business center, golf course, indoor pool, whirlpool, fitness center and complimentary airport shuttle, the Portland Marriott at Sable Oaks is the perfect location to exceed all your expectations.